Team Build can design bespoke garden furniture turning a simple sketch into a 3D drawing, making your dreams a reality. Our expertise in traditional joinery methods combined with modern woodworking machinery, extensive timber finishes and upholstery and metalwork, means that whatever we create, whether it be a garden pergola, driveway gates or an ornate garden bench, it will meet your needs and enhance your garden and outdoor space. We know that every garden and outdoor space is different and it’s important to find furniture that is the right size and style as well as being durable for even the harshest weather conditions. At Team Build, we craft bespoke garden furniture that is built to last and will complete your ideal landscape. Whether it is for a memorial or just to enjoy the view, we can craft garden benches in a variety of shapes and sizes. You may want a curved bench that works along the line of a garden pond or a circular seat that encircles a tree. Perhaps you want to detract from a view of a fence or ensure there is room for all the family for al fresco dining. Whatever your needs, we can design, sculpt and craft the perfect bench for your needs. Giving you a scenic spot to make the most of the outdoors while providing much-needed shade, a pergola makes a perfect choice. 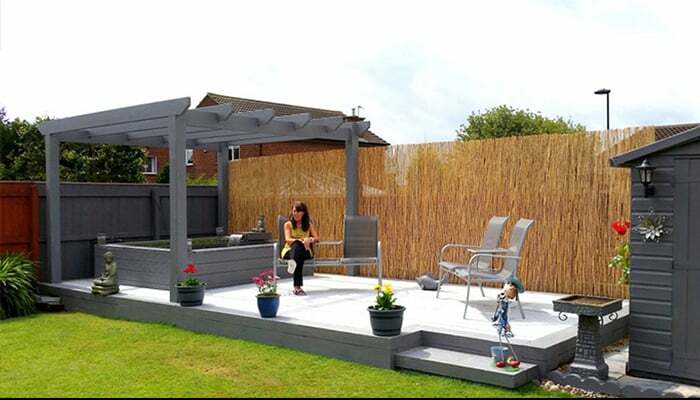 Our highly-skilled craftsmanship means we can build a pergola to your exact sizing requirements, so it blends seamlessly with the rest of the garden while providing an attractive focal point. Our skills stretch beyond timber and joinery, and we can use a variety of materials to craft the perfect garden furniture to ensure you make the most of sunny days and enjoy al fresco dining with friends, family and loved ones. The beauty of our handcrafted pieces is that they are unique to your personal design preferences making it easy for you to add further pieces to your collection as you wish to. We firmly believe that garden furniture deserves as much decoration as furniture for the home, which is why we can craft each piece with the decoration that suits your space and your personality. We can personalise each piece of garden furniture to suit your requirements; whether you want a dedication or memorial, a meaningful quote or something that makes you smile, we can give your garden furniture much more meaning.